Our unique beer-can chicken recipe creates the ultimate succulent and juicy roast, made even better by the mustard and paprika based rub. Remove and discard the neck, giblets, and any excess fat from the chicken. Rinse the chicken, inside and out, under cold water and pat dry with paper towels. Lightly spray or brush all over with the vegetable oil and season, inside and out, with the rub. Open the beer can and pour off half of the beer. Pour the rest of the beer into the middle cavity of a Weber Poultry Roaster and transfer the bird to the grill, keeping the poultry infusion roaster upright. 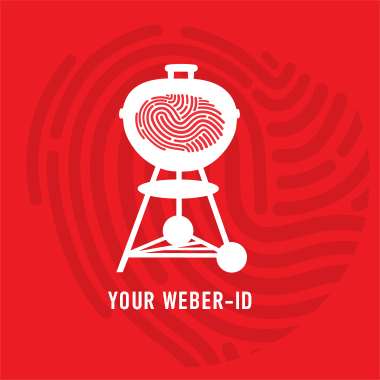 Grill over In-direct Medium heat, using the Weber Digital Thermometer, until the internal temperature reaches 76ºC in the breast and 82ºC in the thickest part of the thigh, 1 1/4 to 1 1/2 hours. Wearing barbecue mitts, carefully remove the chicken and the can from the grill, being careful not to spill the beer-it will be hot. Let the chicken rest for about 10 minutes before lifting it from the can. Discard the beer. Cut the chicken into serving pieces. Serve warm.